As an English teacher or trainer, you may be experiencing situation wherein your students face difficult to comprehend certain words from the English vocabulary. How do you resolve the issue easily? Well, we’d suggest you take assistance from PSD Frayer model templates. With them you’d be able to impart better understanding to your batch. The templates are designed in the required format to facilitate faster and better comprehension. You can download and use them for free. You can also see Logic Model Templates. This is another Frayer model PSD template which you could download and use with your students during class. The overall layout of the template is very well-organized and there is ample space given so that you can explain in detail the topic of discussion. There is a blank space provided to specify any remarks, notes or findings. This is a rather detailed and elaborate specimen of the frayer model. The template contains a format in which the document is divided into two sections. 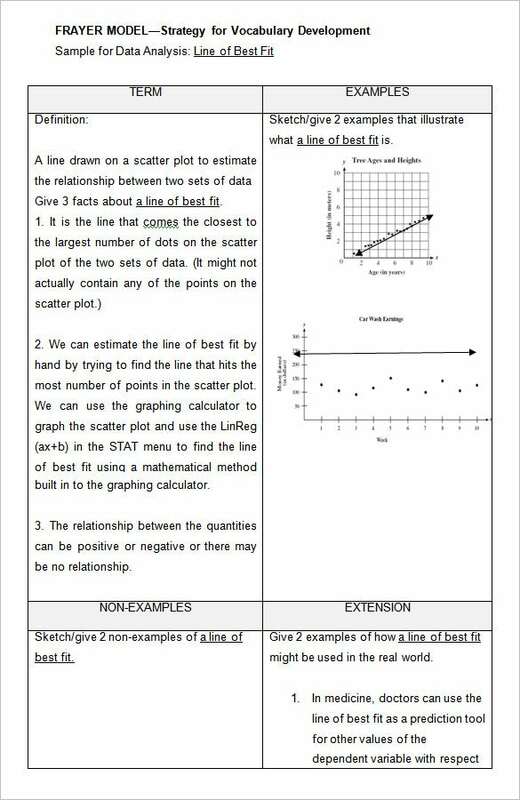 In one section users can insert the text, in the other, graphs are provided. This one is a very useful sample for those that want to understand words and vocabulary in-depth. 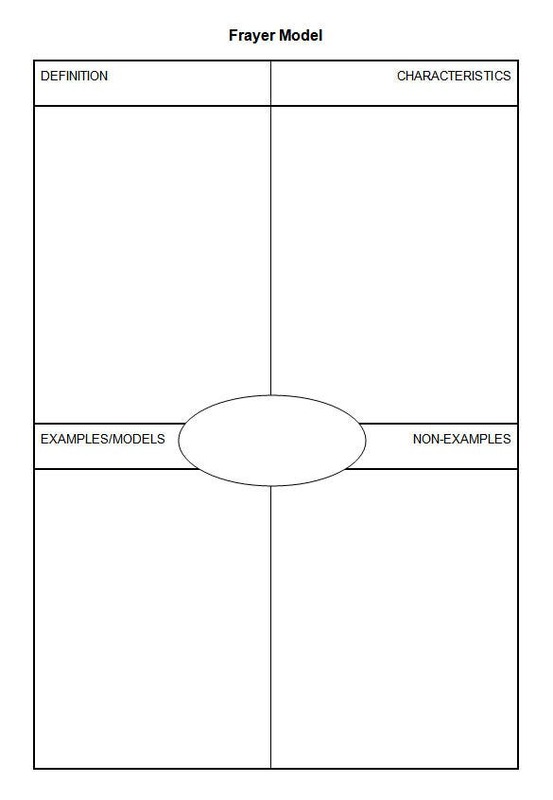 This template would be your able aide when you are looking to create a frayer model for multiple topics but on one single page. You can include 4 topics here. 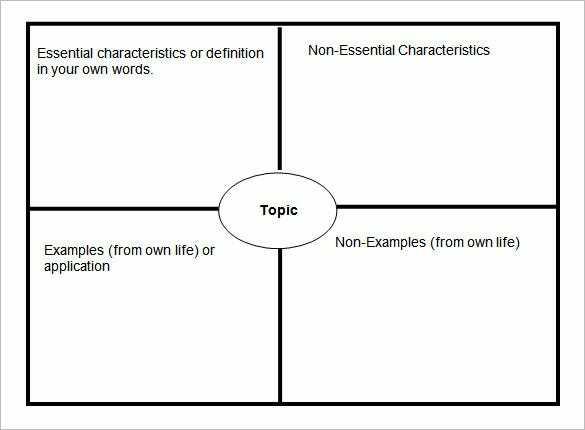 If you are looking to draft a detailed frayer model for one single topic, this template is the bestie for you. You are getting space to include definition, examples as well as graph sketches. 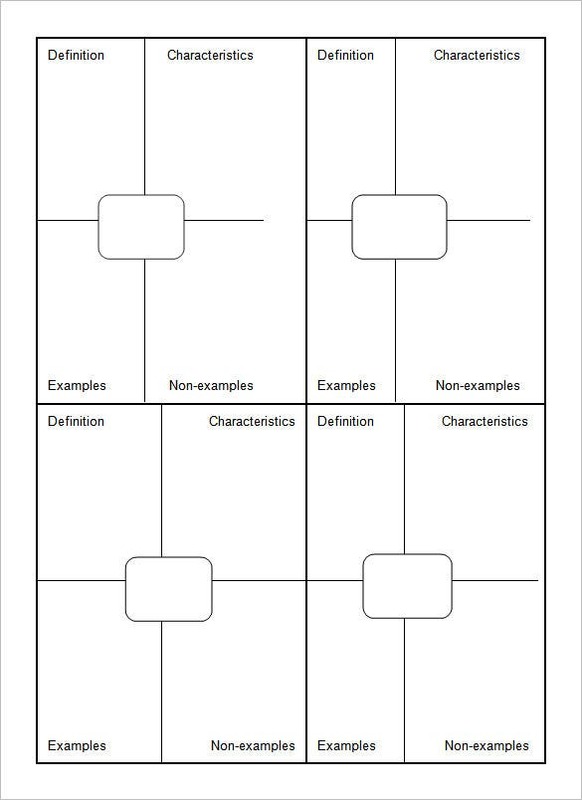 This is a blank frayer model template offering you wide space to write about various aspects of a particular topic so that you can develop a comprehensive idea on the matter. 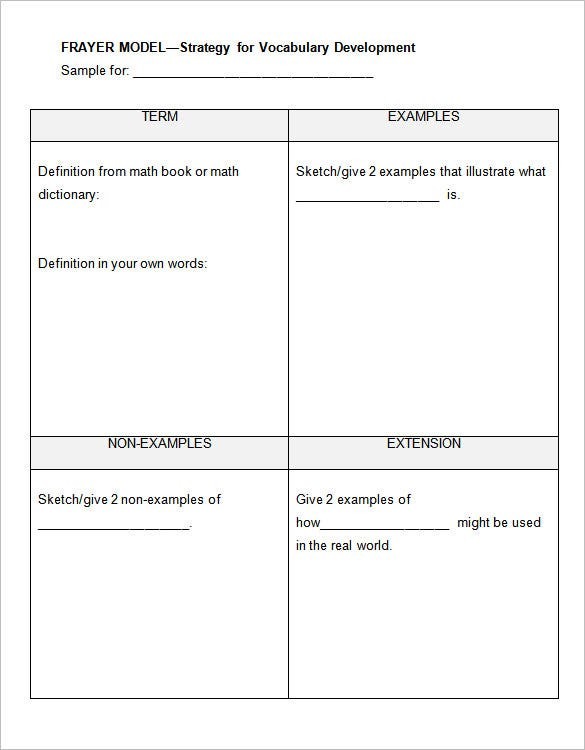 If students or teachers need help in facilitating better understanding of the English language and vocabulary, a wise thing to do would be to just download any one or all the download frayer model templates displayed on this page. All the templates are free of cost, such as this one right here! 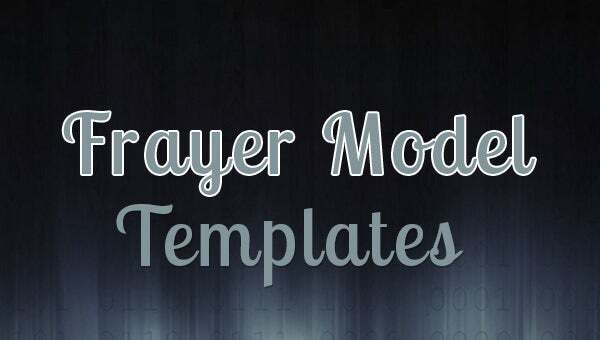 you can also see download frayer model templates for free.